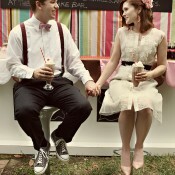 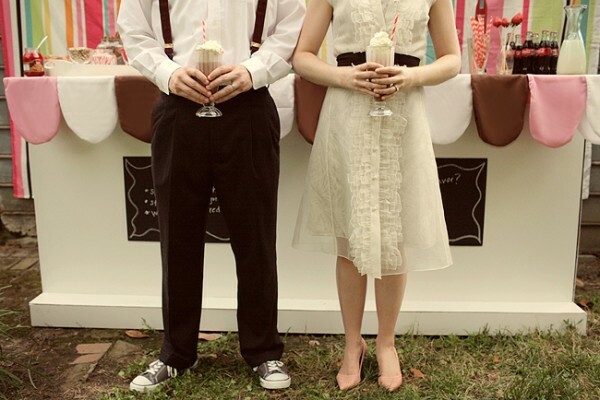 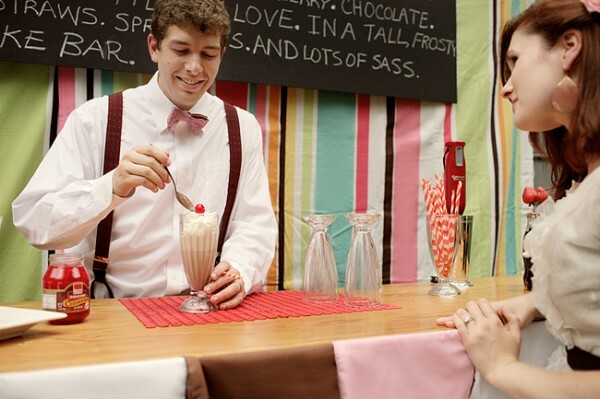 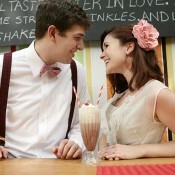 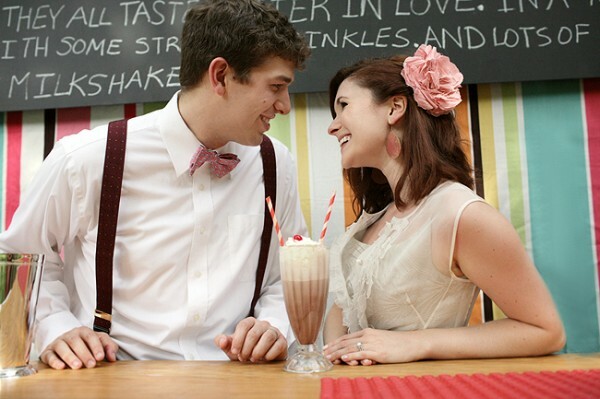 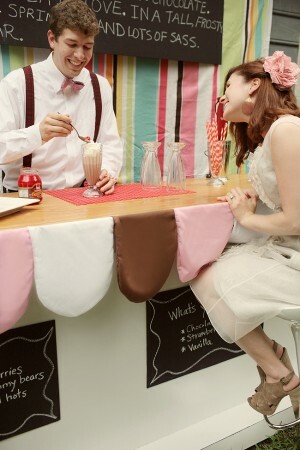 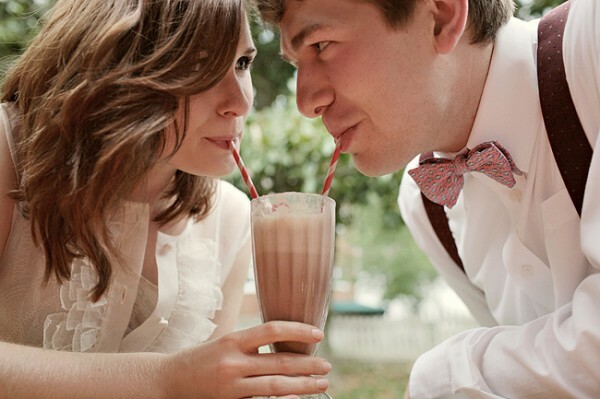 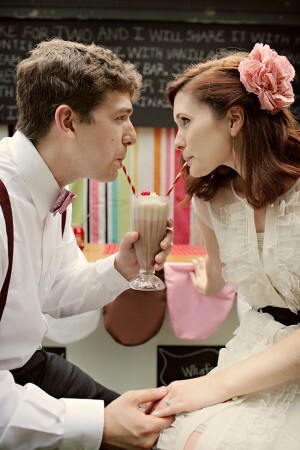 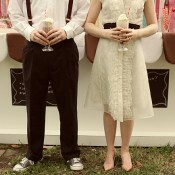 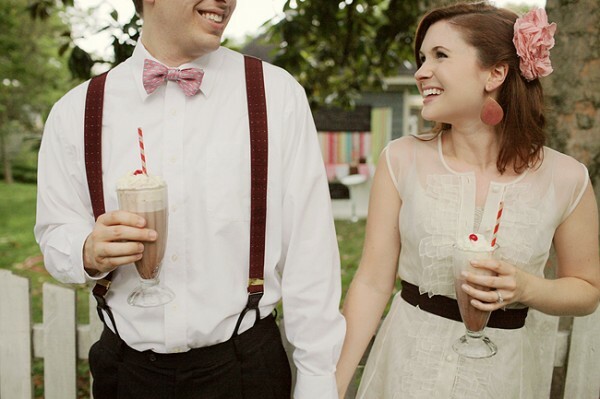 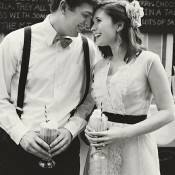 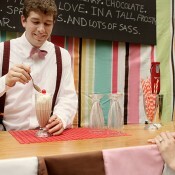 I’m not sure what’s cuter – this retro milkshake bar Inspired Creations Contest concept or the “models” for the shoot, Rachel and John. 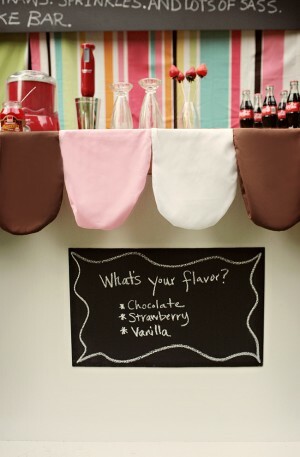 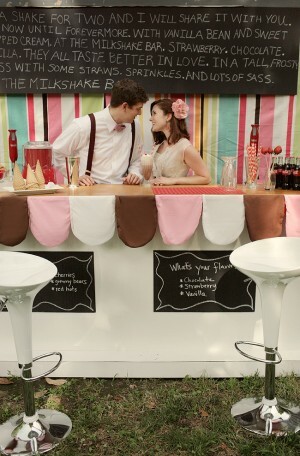 Kellie Kano and Elissa Keno did an incredible job constructing the milkshake bar and creating a retro look and feel sure to be perfect for any summer wedding reception! 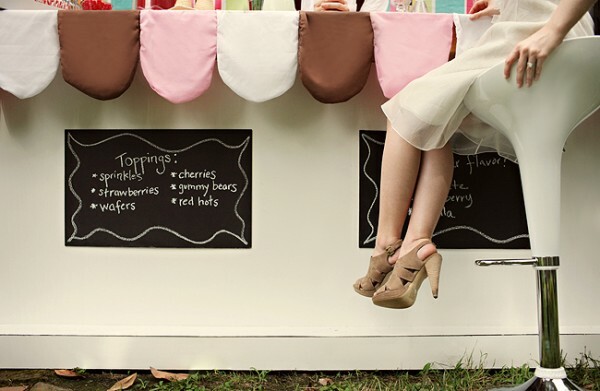 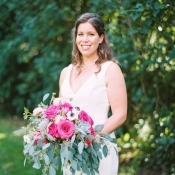 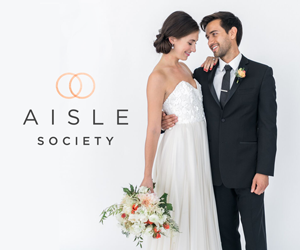 Elissa and Kellie show us that managing your wedding spending is all about resource allocation – finding where you can use your imagination and ingenuity to create items on your own so that you can intelligently use your budget to create the best possible guest experience. 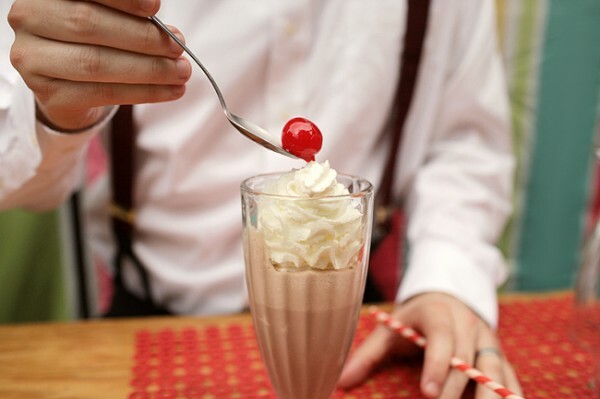 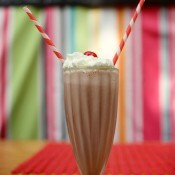 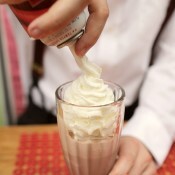 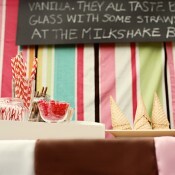 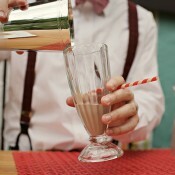 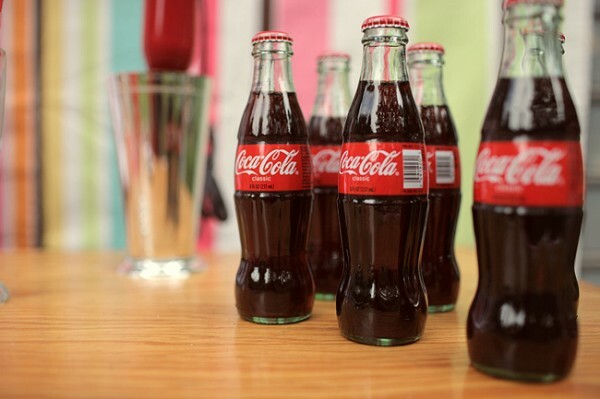 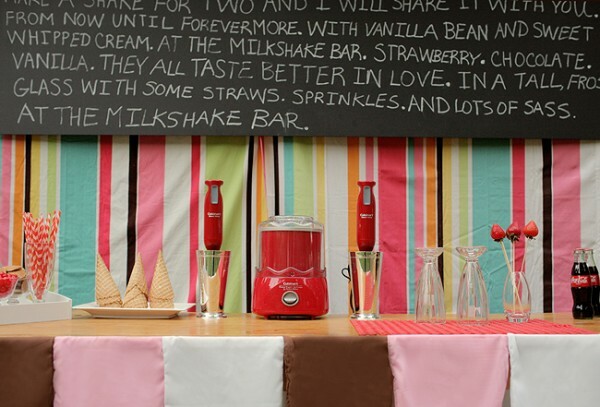 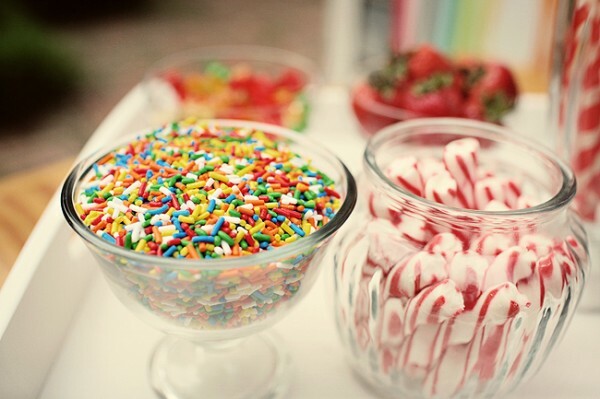 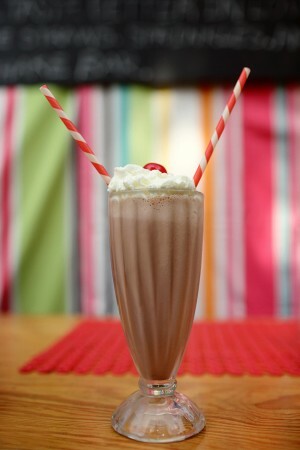 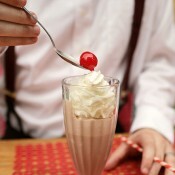 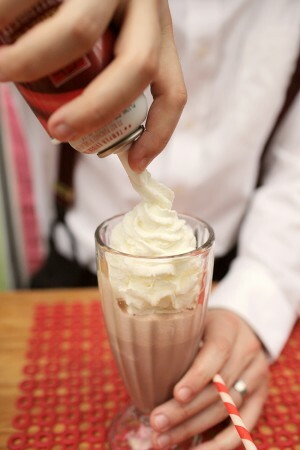 The entire milkshake bar, from top to bottom, was created with a total spend of only $433. 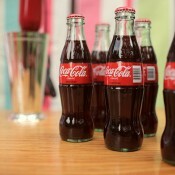 The most expensive items? 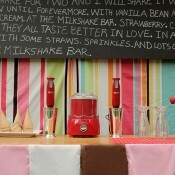 Two barstools from TJ Maxx ($110), two red blenders and a red ice cream maker from Sur La Table ($90), and the wood for the bar itself ($100), which was built by Elissa’s husband. 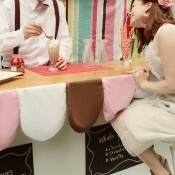 Elissa hand-sewed the bunting, and the colorful backdrop is two shower curtains. 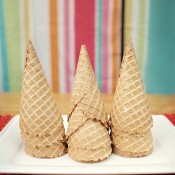 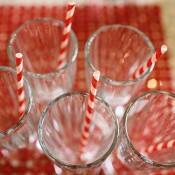 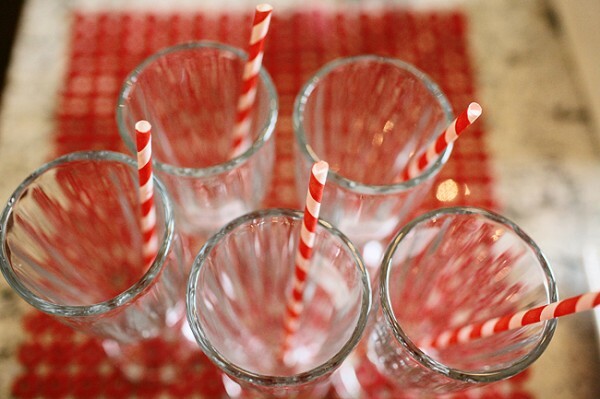 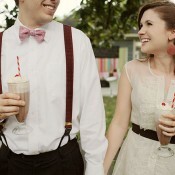 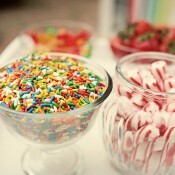 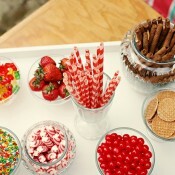 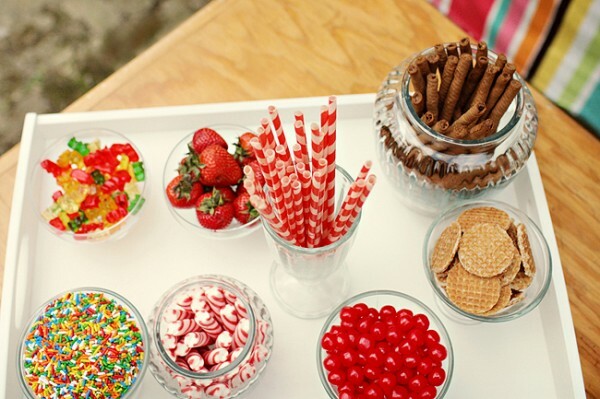 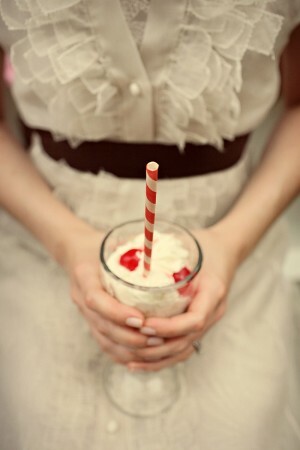 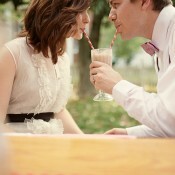 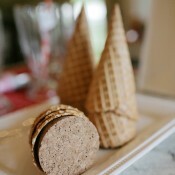 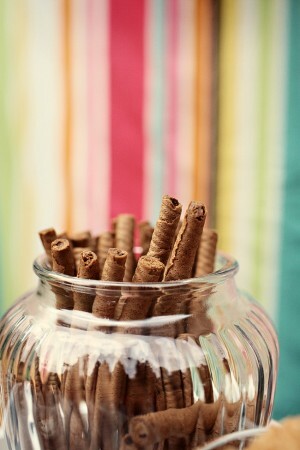 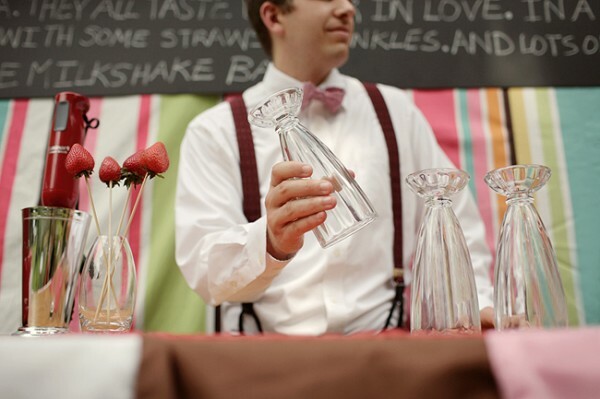 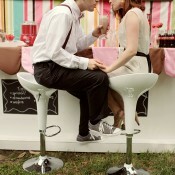 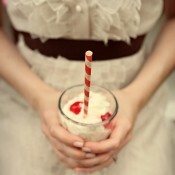 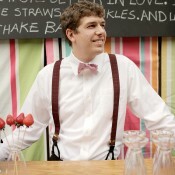 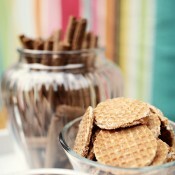 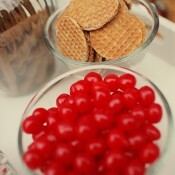 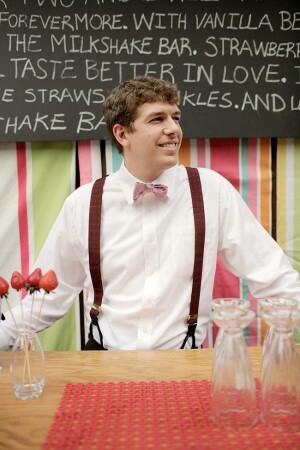 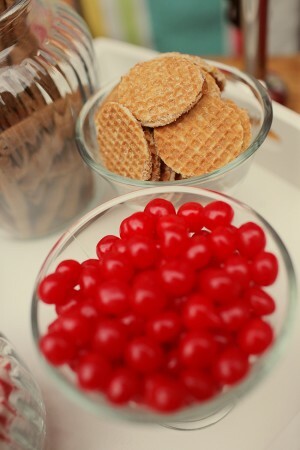 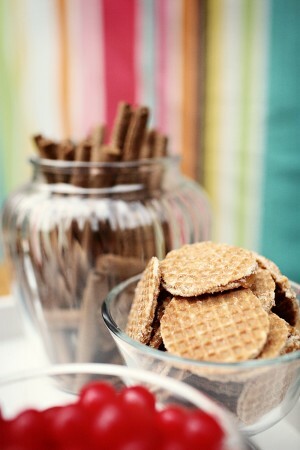 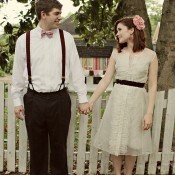 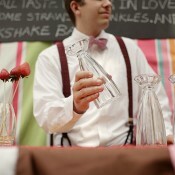 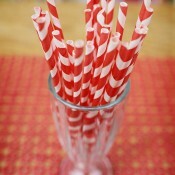 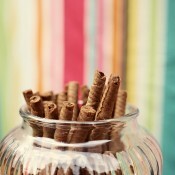 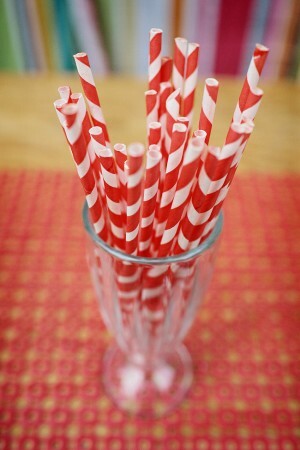 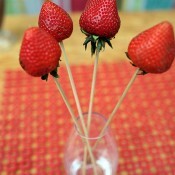 The adorable red and white striped straws (from Anthropologie) were the inspiration for the whole concept. 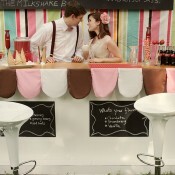 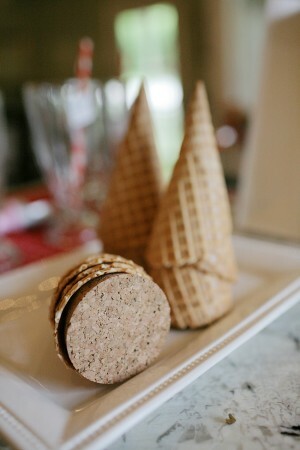 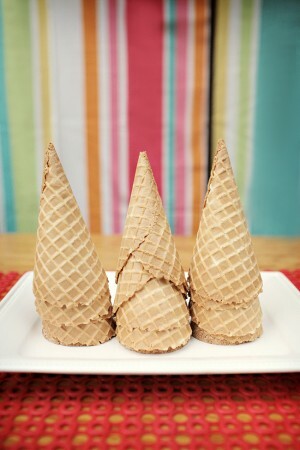 Kellie and Elissa used neopolitan ice cream colors to tie the theme together, and continued the retro feel with the striped backdrop and colorful toppings. 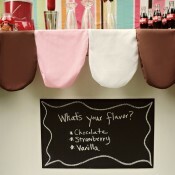 Chalkboard paint menus completed the look.